Ryan Reynolds may be running around in a computer-generated suit all weekend on the big screen, but you don’t need to rush out to the theaters to join in on the Green Lantern Corps fun, because MIMOBOT has got you covered with their brand new line of Green Lantern-themed USB drives. With characters like Hal Jordan, Tomar-Re, Sinestro (seen here) and Kilowog, you can purchase all of your favorite Corps members and have them storm your data storage dilemmas with their capacity of up to 16GB. The drives also come with some pretty sick features already pre-loaded, such as tons of wallpapers, icons, avatars, and even a killer animated desktop screensaver for you diehard fans out there. These drives can carry some of your most important and bulky files, and they even come at a pretty decent price. Ranging from 2GB all the way up to 16GB, you can get these from anywhere to $22.95 to a solid $59.95 for the top-line capacity drive. You can pick these drives up right away over at the MIMOBOT website, and check out some of the high-res images of each character after the jump. 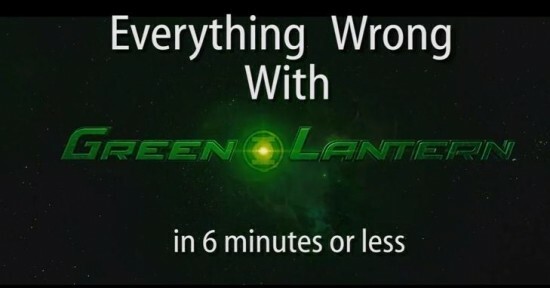 Green Lantern’s Light! Just yesterday, we brought you news that Michael Clarke Duncan has been recruited to voice the Green Lantern Corps drill instructor Kilowog, despite IMDb stating that the role has already been filled by 24 star Dennis Haysbert. Now we’re getting word that yet another credit is wrong in the database, as Geoffrey Rush has been announced to voice Tomar-Re in the film and not the credited John Larroquette. Obviously, a few things don’t make sense here. One: why would a site like IMDb, which is known for its infallible accreditation records, get both of these so very wrong. And two: why are we just getting word about castmembers being picked up for this film when it’s set to hit theaters in just over 2 months? We’re hoping this was some kind of clerical error on the site, and not an actual re-casting in which we lost Larroquette and Haysbert for Rush and Clarke Duncan. Though, that wouldn’t be the worst trade in the world. Already in the Green Lantern Corps (we hope for good) are Ryan Reynolds as the titular Lantern, Hal Jordan, Mark Strong as the purple-headed villain Sinestro, and Temuera “Boba Fett” Morrison as Abin Sur. Green Lantern is set to hit theaters on June 17th.